48 hours with no internet led me to lots and lot of reading. Which in my case isn't a disappointment. I'm what you call and Librocubicularist. 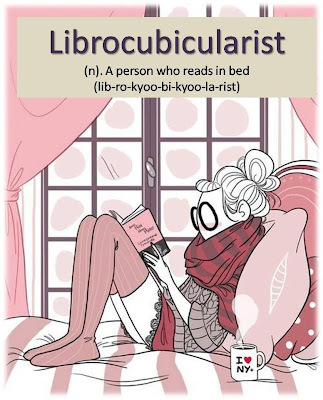 So, I spent most of the 48hours in bed reading. Or on the couch. Or on the futon. But now the internet is back and I'm catching up on emails and social media amazingness. But I'm still going to be a Librocubicularist and keep up on my reading.